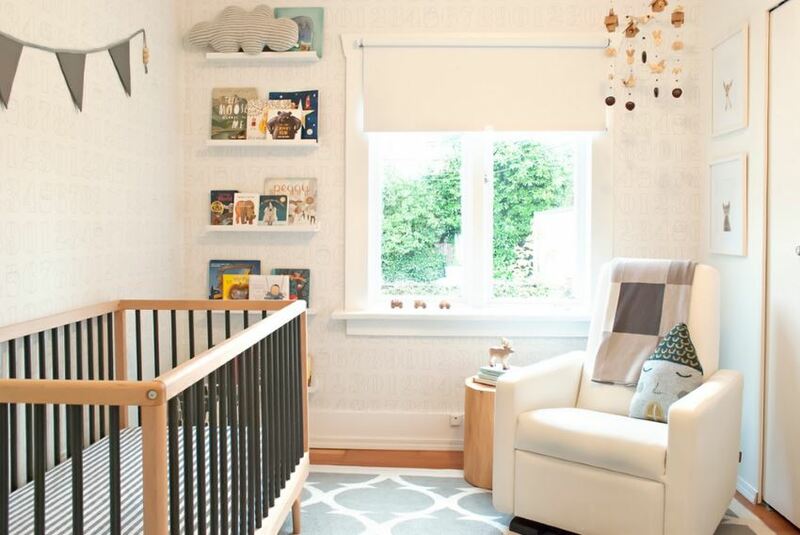 Let’s start with the crib, because that’s where your baby will spend countless hours sleeping! 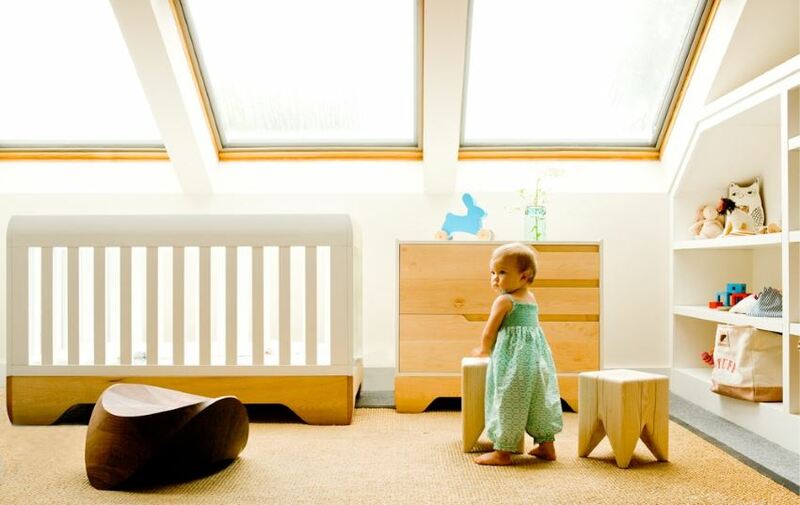 Made of 100% solid sustainably harvested domestic Maple, the Echo Crib is sturdy yet open, giving parents an optimal view of their little one from all angles. Did we mention that the Echo Crib is finished in your choice of either non-toxic oil or water-based paint? A true Kalon Studios favorite is the Caravan Crib, crafted almost entirely by hand and inspired by the design of a circus wagon. The sleek silhouette and unique feet of the crib are matched only by its superior construction. 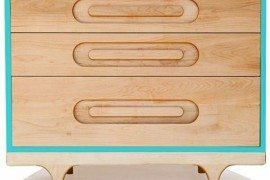 Not only does the Caravan Crib provide 100% visibility of your baby, it’s crafted from FSC Certified domestic maple and non-toxic and/or food safe materials and finishes. As with the Echo Crib, this item can be converted into a toddler bed. Other color options include red and green, as well as limited edition pink and white! The appeal of the Caravan crib can’t be denied, especially since the piece has the potential to shine in spaces featuring a variety of styles. Its retro look is also somehow contemporary, making it a true find for design lovers with modern preferences. 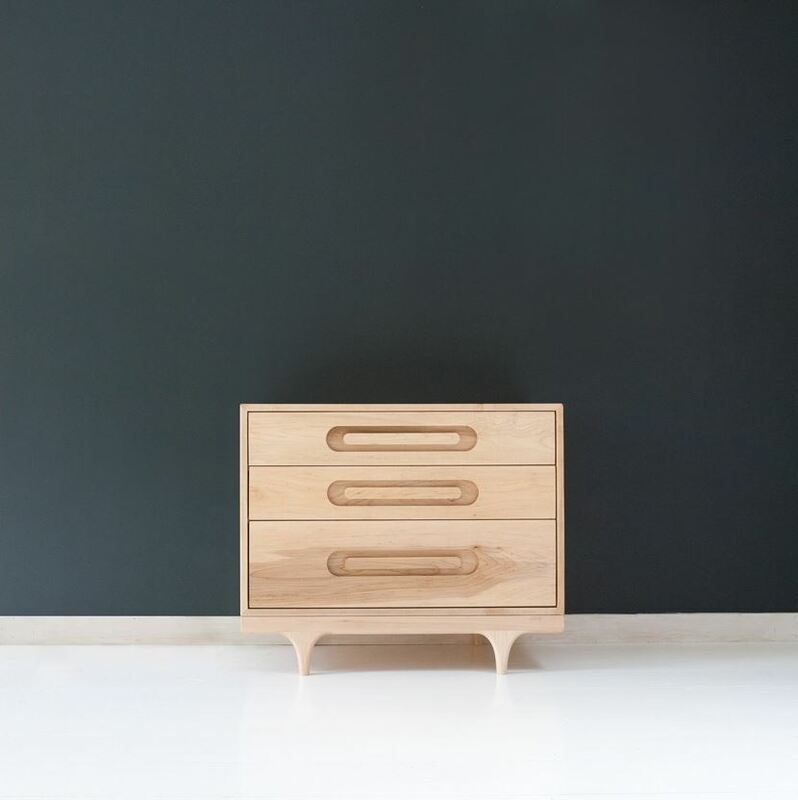 The IoLine Dresser is not just for kids–it makes a lovely addition to adult bedrooms as well. 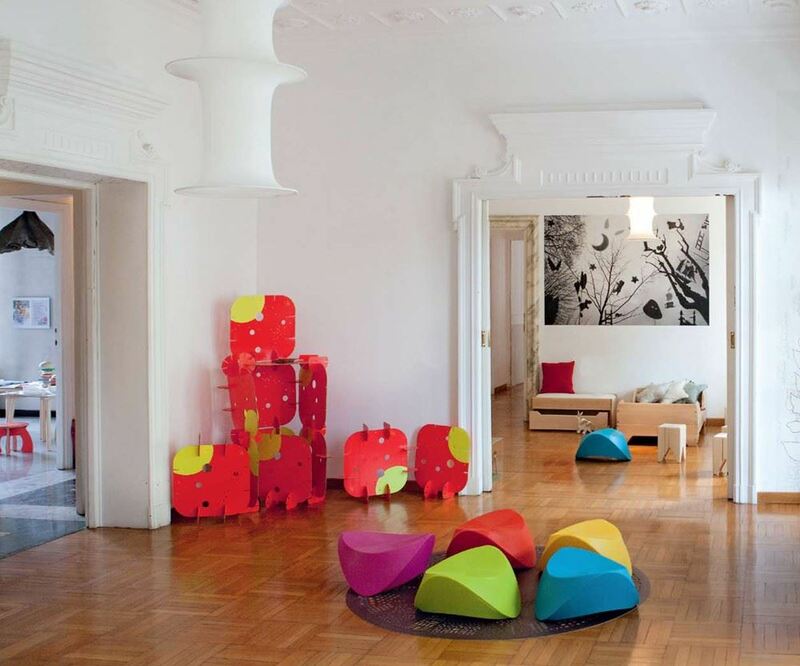 But since we’re talking about nurseries today, we’ll focus on its appeal for the spaces of little ones. 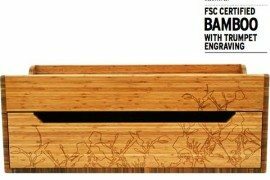 Integrated drawer pulls are the standout feature, and a construction of bamboo and FSC certified woods and birch panels creates a truly sustainable piece. 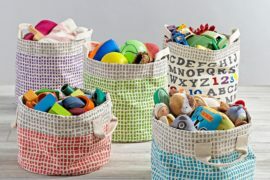 Purchase it painted or natural, and note that the paint is 100% non-toxic, low VOC, and HAPs-free! 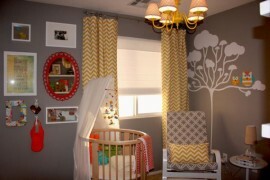 We end with some finishing touches that bring clever design and versatility to your modern nursery. Kalon’s 3 Blocks celebrate the beauty of the circle, the square and the line. 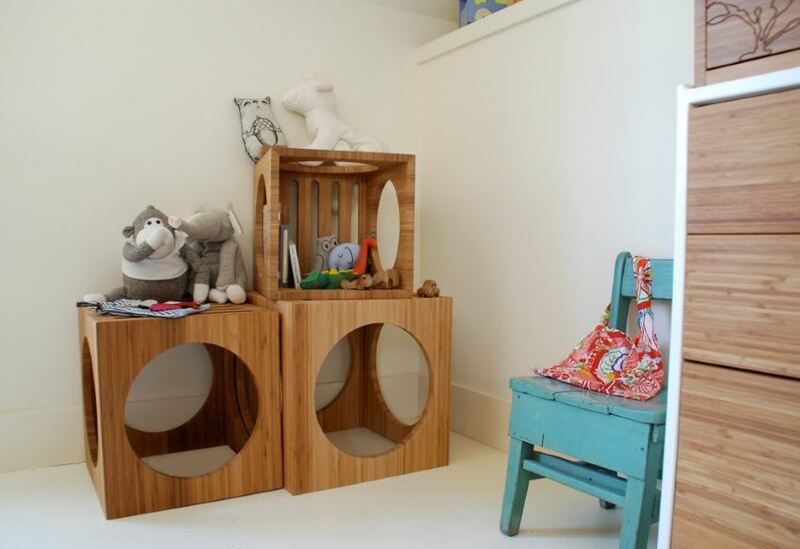 Use them as nesting tables, stools, or sculptural stacked shelving, as shown below. Plus, there’s an option to order these blocks with a fern engraving that adds a detailed organic touch. Select bamboo, maple or black walnut as your wood of choice. While one will do the trick, it’s tempting to purchase a group of these pieces, especially when we see the colorful space below. 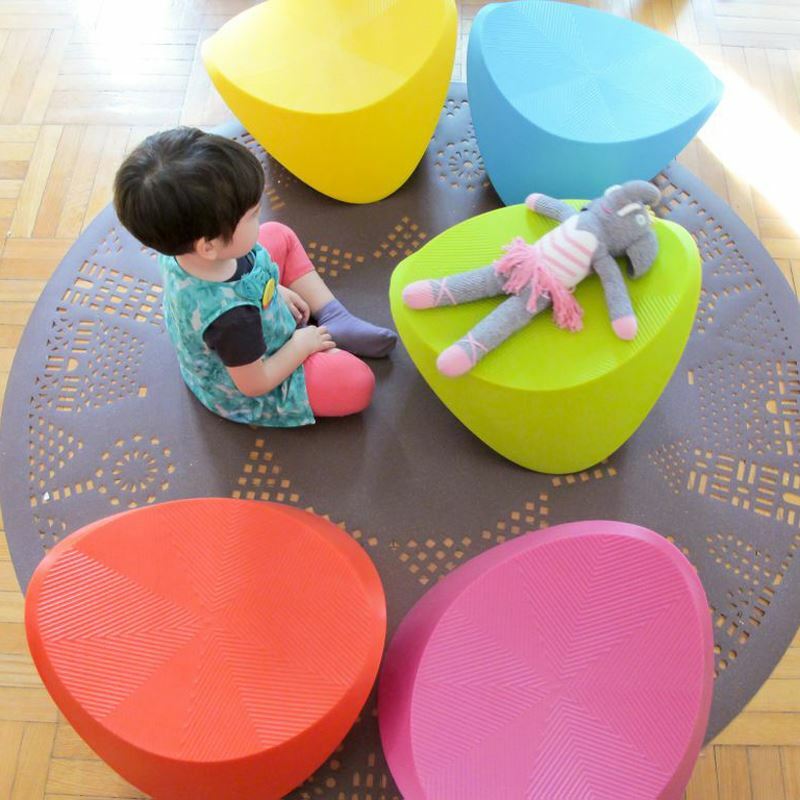 Hut-Hut Kids in resin comes in a range of colors, but you can also order this item in the following FSC-certified materials: bamboo, black locust, black walnut, cork and maple. 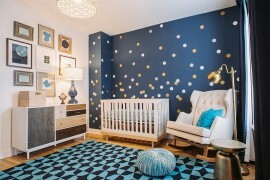 It’s hard not to get excited about decorating your nursery after viewing today’s featured pieces from Kalon Studios. 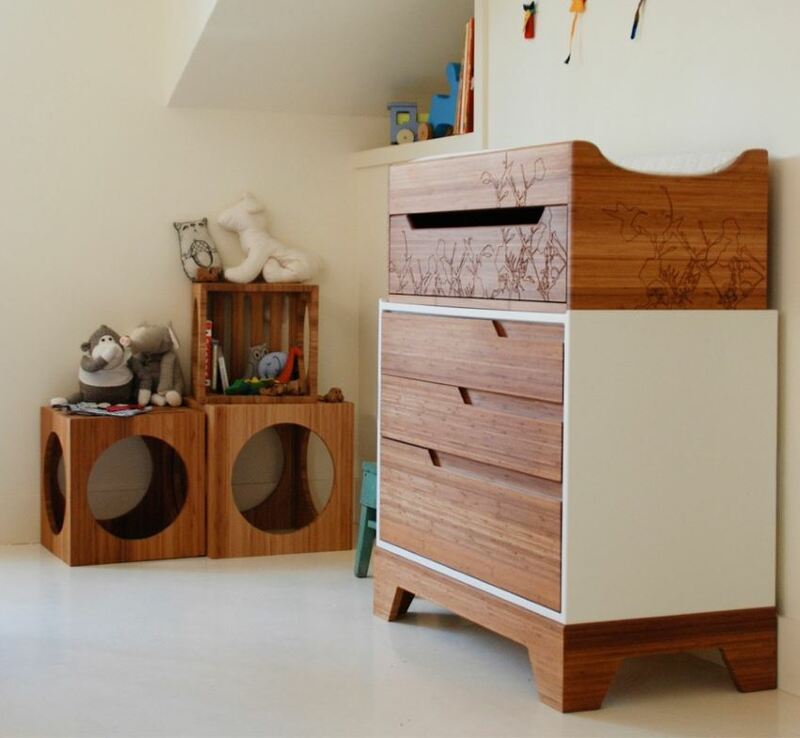 Add Kalon’s commitment to eco-friendly design, and you have the reassurance that you’re providing your baby with a healthy space, as well as a stylish one!